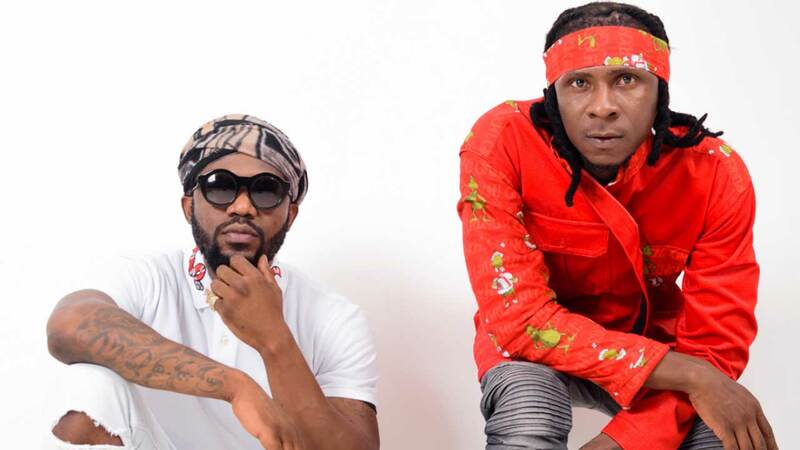 Ghanaian award-winning Hiplife duo, R2bees made up of Paedae da Pralem (Faisal Hakeem) and Mugeez (Rashid Mugeez), have released a track off their much anticipated third studio project tagged Site 15, which they call Straight From Mars. The song, which features their regular music buddy, Starboy Music chief and recording artiste-in-chief, Wizkid, is a mid-tempo jam that is smoothly delivered and presents a pleasurable start to the body of work. According to those in the know, R2bees in the 15-track project is collaborating with number artistes from across the continent including Nigeria’s Burna Boy. Both born and raised in Tema, east of Accra, Ghana capital city; Paedae is the CEO and leader of the group, whilst Mugeez is the lead vocalist. The two cousins, who have been together their whole life, lived in the same house and also attended the same primary, junior and senior secondary school in Tema. Beginning their career early, they started off representing their school in rap competitions as well as inter school music contests. This led them to participating in popular radio competition Kasahare, which they won most of and also performed at most shows; gaining them more buzz under their stage name at that time – Camp Yard. The group released their first single in August 2008 titled Yawa Gal, and became an instant hit. They followed up with I Dey Mad, featuring Unda Melodies, which became a chart topper across Ghana. The song topped most Ghanaian Radio music charts for weeks.In 2009, R2Bees released a 17-track album Da Revolution, which has already released songs like Yawa Girl, I dey Mad, T.E.M.A, Kiss Your Hand with new songs; Radio, One More Chance and Africa with production from Joseph Addison well known as Killbeatz, as well as guest appearances from Wande Coal, Sarkodie, Samini, Kwaw Kese and a host of others. Kiss Your Hand earned the group the Afro-pop Song of the Year and Collaboration of the Year at the 2011 Ghana Music Awards. Though the visual for the song was criticised upon its release but R2Bees (R2 Bees) a name they came up from their mantra, ‘Refuse to be broke’, did not come out with any explanation. The group on March 29, 2013, released their second studio album, Refuse To Be Broke – Da Revolution II. The 19-track album featured hits such as Ajeii, Life (Walaahi), Odo and Bayla Trap. 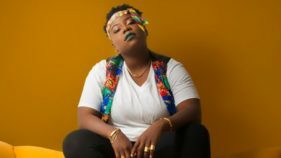 The album had guest appearances from Wizkid, Sherifa Gunu, Davido, Tinchy Stryder and Voicemail. KillBeatz, who produced all the tracks, handled the production. Following the success of Refuse To Be Broke – Da Revolution II, the group released their first official single for 2014, which they titled Lobi. The highlife-influenced song’s video was released on September 25, 2014 and it received massive airplay. As one of the top purveyors of Ghanaian hip-pop subgenre hiplife — a mixture rap with sounds of hilife (African pop music) and reggae, R2Bees often sing and rap in native Twi language and Pidgin. Wizkid had in 2016, after his performance at the Vodafone Ghana Music Awards (VGMAs}, revealed that he was going to sign some of the country’s top music stars, which included R2bees, Efya and Mr Eazi to his Starboy Worldwide label. The signing was a big move that brought some noteworthy Ghanaian and Nigerian musical power together under the Starboy umbrella, as the Ghanaian joined the likes of Legendury Beatz, Maleek Berry, and L.A.X on the label’s roster.It will be recall that since the launched his record label, ‘Starboy Music’, Wizkid has had multiple names walk through his doors in some capacity, and exit. 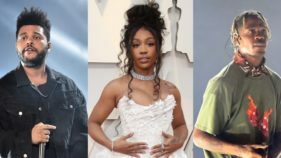 From producers to singers and rappers, the list of Starboy alumni has continued to grow, with more additions and exits.